You don’t have to pay thousands for a professional underwater light for shooting videos and photos. 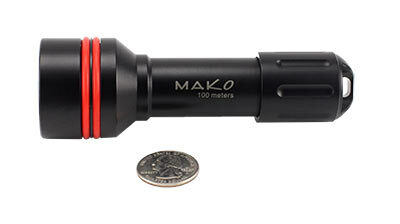 Measuring only 4.9 inches, this little light blasts out an astounding 890 Lumens! 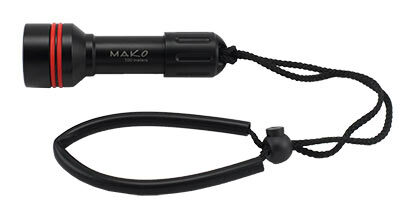 The MAKO Spearguns 890 Lumen Underwater Photo/Video light is not only incredibly bright, it also has the widest beam (110 degrees) of any photo light in it’s class. What makes this light so special, however, is not just the 890 Lumens and the super wide angle. What makes this light so special is the high tech “hot spot eliminating” reflector that provides professional results not achievable with typical underwater lights. 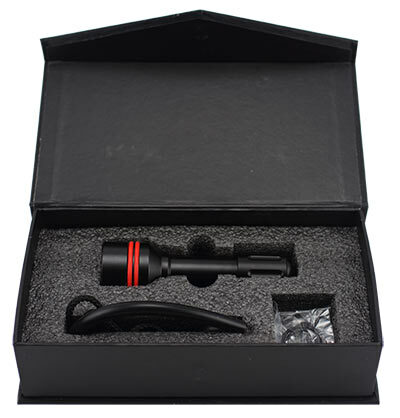 Underwater Light length measures a short 4.9"
High quality. Nice broad beam. Small size. My husband loves his new dive light! Super bright and compact. Great bang for the buck light to team up with the transformer tray. Nice wide and bright circle of light with no hot spots. I've gotten 1.5 hours of light out of a fully charged 18650 battery with no decrease in power. 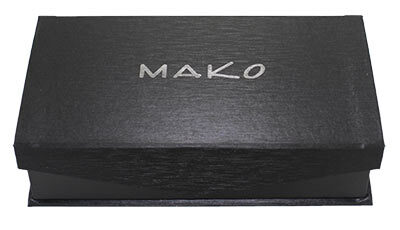 The following video was shot witha GoPro hero 3 black mounted to a transformer tray with 2 lights.